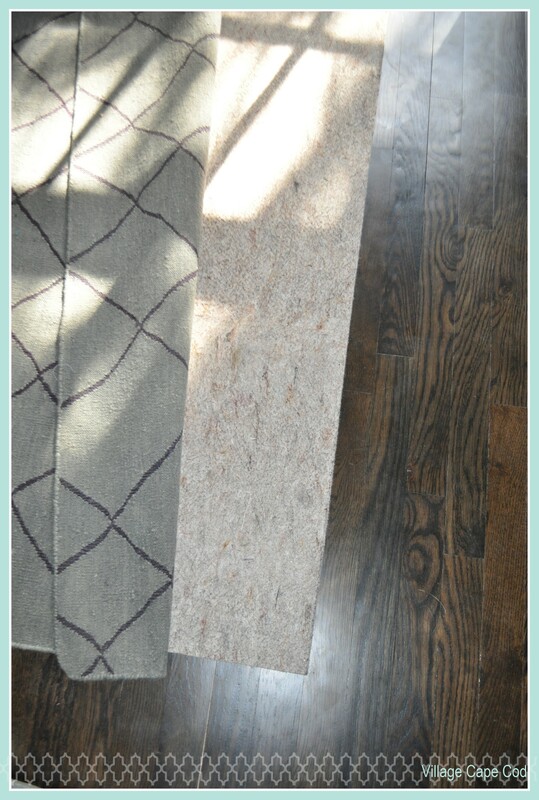 One thing with having wood floors is that we have a rug in every room. With that comes a rug pad. 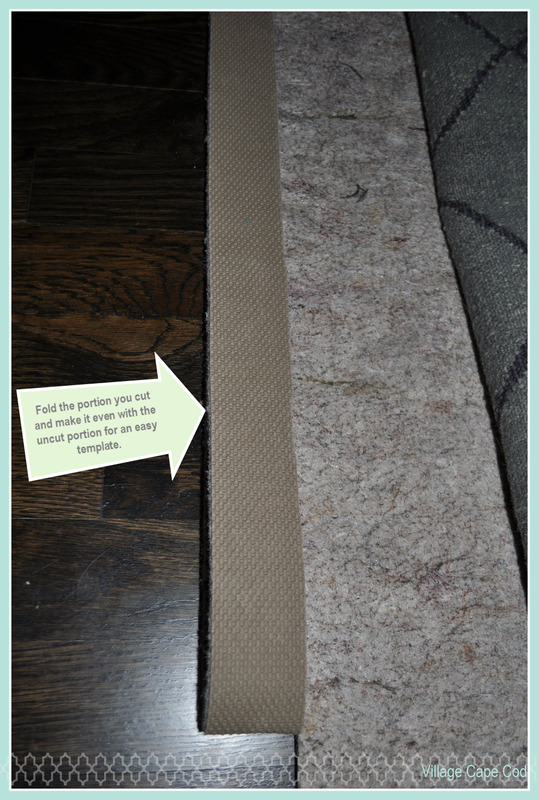 One thing I have learned about rug pads is that they never fit perfectly and I always have to trim them. I found the similiest solution in cutting it. Sometimes its the small things that help make a job go fast. I first put the rug and rug pad down trying to cover the rug pad as much as I can. I always let it sit for a little while so I know that the rug is going to lay properly. 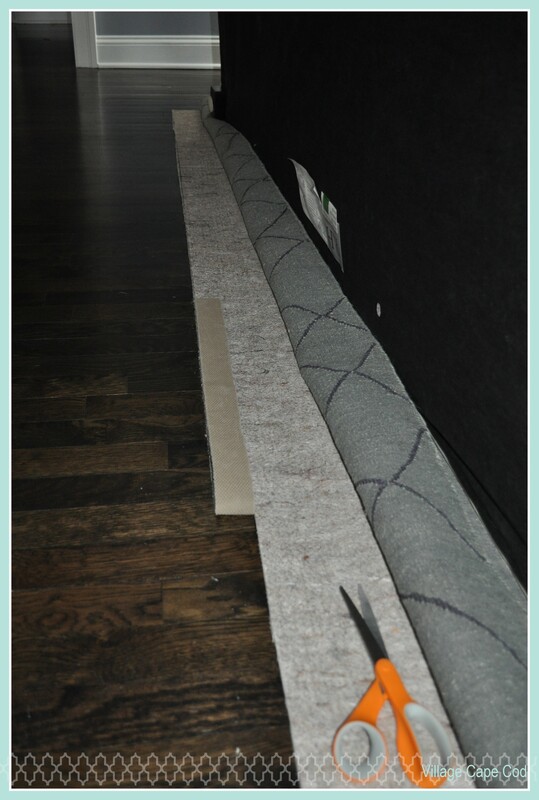 Then on the sides that have the rug pad peaking out, I lift up the rug to expose the rug pad. 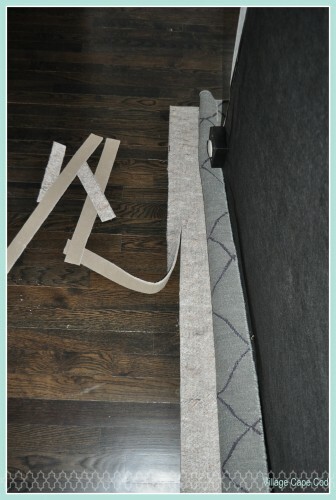 I then trim about two inches long with a width equal to the amount I need cut off. I them take the two inches I cut and fold it up (this becomes my template), lining the cut portion with the part I am about to cut. This saved me so much time at trying to measure and draw a line down the area I plan to cut.